Central Railway Recruitment 2017-2018 Application Form, 2196 Act Apprentice Posts. 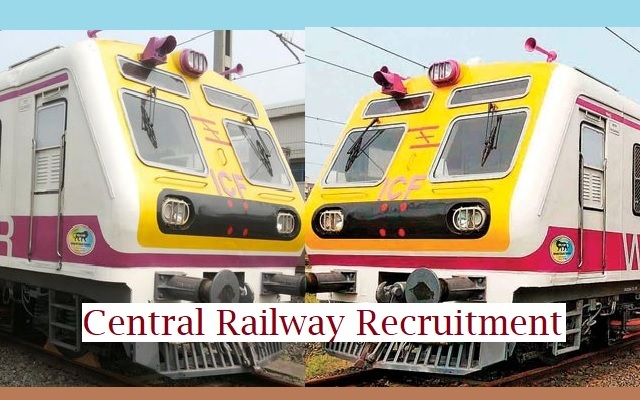 Central Railway Jobs Interested and Eligible Candidates are requested to Download Application through Official website www.rrccr.com. The last date for submission of applications is 30.11.2017. Ensure that they fulfill the stipulated criteria before Applying, Central Railway Recruitment 2196 Act Apprentice Job Post. Job applicants, who are applying for above said posts must have completed 10th, ITI from a recognized Board, University, Institute. (iv) Caste and attested copies of relevant documents should be addressed to "RAILWAY RECRUITMENT CELL, Chief Project Manager (Conv)’s Office Building, Wadibunder, P. D’Mello Road, Mumbai - 400 010" by post so as to reach us by 30.11.2017.